How do you know if there’s a need for your product or service? How do you find out if you have no audience? In the early stages you’ll need to make some assumptions and accept that you’ll be proved either right or wrong! But being wrong doesn’t mean that the game is over; you may just need to reposition it so don’t give up on the first go. But how do you find out if there’s a need? Many have entered Dragons Den and failed. It wasn’t that their idea wasn’t good enough, it was the positioning of the product or service that wasn’t quite right. I know what it’s like, you start out listening to your heart – which is great, you need to be passionate but take a minute to listen to your head and your gut instinct too. Of course, you need to make sure it makes sense financially, but that’s not what this blog post is about. 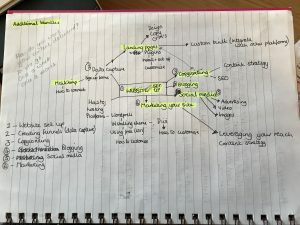 This post is all about the practicalities of building an online business and conducting research is the one key element I suggest everyone does. But how do you do your research when you don’t yet have an audience? Truth is, you do have an audience. It doesn’t have to be huge numbers, start with family and friends – there’s nothing wrong with that. OK, they may not be your ideal audience but you don’t know who they know! Create a survey on Google forms – it’s free, easy to set up and the link is shareable. We’ll go through the types of questions in a second, but just know that there are people out there that will support you in your early days. So if you’re validating your idea, and we’re not talking about whether your idea is good enough here – put imposter syndrome to one side for a second. What you really need to know is if your idea will work. By taking time to map out your research questions, you’re also working your idea through in your own head. 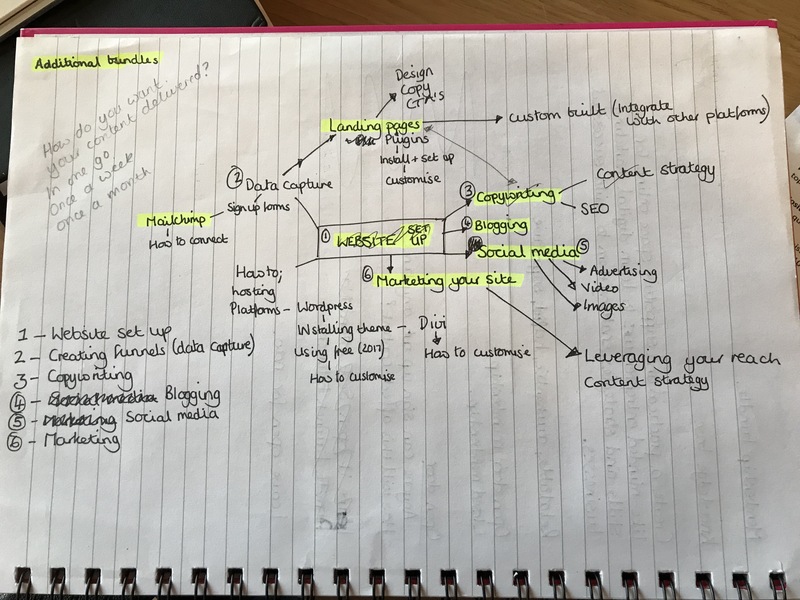 When I started Digital Marketing Made Easy I had no idea if there was a need for it. After all, there are tons of agencies and other, very famous people out there doing what I intended to do. I had to let that go or at least not let it get in the way or stop me from moving forward. My original idea was a bit vague and fluffy around the edges. I knew I had a lot of knowledge about Digital Marketing but I didn’t know where I would fit or even what services I would offer. I had a vague notion that I wanted to create online courses, a membership site and make building an online business easier for business owners. When I look back on my notes from the early days I cringe at how naive they were, but without them I wouldn’t have had a starting point. I made a long list of the skills and knowledge I had and tried to create packages around them – WRONG! I had no idea what people wanted! I had to make some assumptions (people wanted to learn) but other than that I was clueless. I did what I always do when I’m stuck, I drew a mind map! I started with WEBSITE at the centre and work outwards from there. I broke down every element you need to build an online business, and after an hour I had 6 core subjects that I knew I could work with. Once I had these, I had the basics for writing my survey questions. What their immediate pain point was with their business i.e what was holding them back from generating sales and leads online. Each of these was then broken down even further. SO for example with social media, I asked if they knew how to use it, how to create engagement, how to create graphics etc and also gave the option of ‘Other’ so they could tell me if I had missed something. Once I was relatively happy with my questions (done is better than perfect!) I created it in Google Forms and shared the link on my personal Facebook profile as well as Linkedin. I knew I had business connections on both so that would help. I titled it ‘Can you help shape my future?’ A bit cheesy on reflection but it was absolutely true- whatever came back would shape my business. I also asked people to share the link and sure enough I started to receive my first responses. Feeling a little braver I jumped into Facebook Groups and contacted admins to see if it would be OK to share. All of them said yes as at this point I wasn’t collecting email addresses or offering a bribe to get it filled in. I wanted honest feedback from people who were interested enough to fill it in. I then willed myself not to look at the responses for a week – which nearly killed me! Once the week was up I had had over 100 responses and I felt that was enough to get a decent cross section of results and opinions. So I had my answer. A membership site probably wouldn’t work in the early stages. I was a bit gutted I’ll be honest but I didn’t lose faith. I knew now that i had a really good, well researched idea and I was moving forward with clarity. Does this give you some idea on how to conduct research when you have no audience? Share the link wherever you can. Start with family and friends and ask them to share it with their friends. Ready to delve deeper and take the next step? Download the Digital Road Map so you can be sure of the direction you’re taking with your Digital Marketing.